The Casa Zenia-Wanda just has been newly renovated. 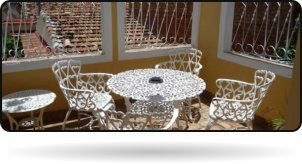 It offers you the same Cuban charm as the Casa Zenia. It is located at the same street. Only a stone’s throw away from the Casa Zenia-Wanda, you will find the main center of the town. There, you have a lot of opportunities to discover Trinidad. Your hosts love to prepare breakfast, lunch and dinner for you in the redesigned dining room. 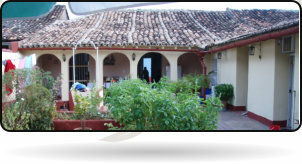 The Casa Zenia is located very close to the center of the old town of Trinidad. The colonial style house impresses beside the newly renovation as well with its beautiful patio.The family Cadalso-Padilla, who runs the hotel, loves to cook breakfast and real Cuban meals for you.Further, you find a lot of restaurants, museums and other sightseeing options in the heart of the historical town. Casa Zenia-Ana is located in the heart of the historical old town of Trinidad, which is part of the world cultural heritage of the UNESCO. The house was finished in January 2011. 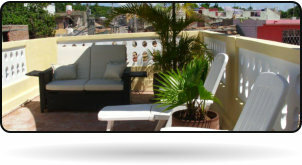 The house is built in a modern way without losing its traditional and comfortable cuban style. There is no Living in the house. 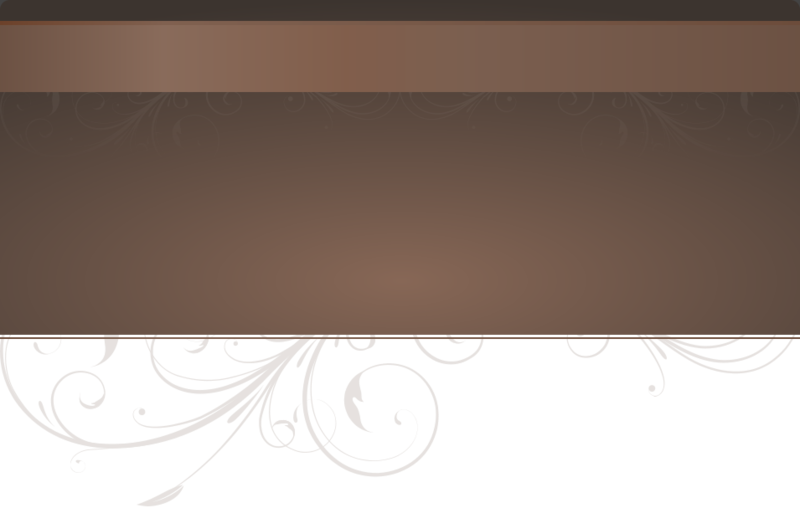 But if desired, we offer a 24 hour service including breakfast, lunch and dinner.